Protestantism is a form of Christian faith and practice. It began in northern Europe in the early 16th century. At that time, they were against some parts of Roman Catholicism. Together with Eastern Orthodoxy and Roman Catholicism, Protestantism became one of the three greatest forces in Christianity. Protestantism much influenced the culture, beliefs, and economy of the place it became important in. The word Protestantism was first used by German princes and free cities at the Diet of Speyer (1529), when they were speaking against the Reformation. Lutherans in Germany began using it. Swiss and French more often used Reformed. The Anglicans use Catholic, Reformed and Protestantism, however the Anglican Church is not always regarded as part of Protestantism because it has kept most of the doctrine of the Roman Catholic Church from which it separated from. Martin Luther, a doctor of theology and a monk, said that the church should return to its roots, and give more weight to what is written in the Bible. Luther thought that the Church had gone too far away from the original teachings. He published 95 theses on the way the Catholic Church was then. Some say, he stuck them onto the door of the church of Wittenberg, but others say this is not true. 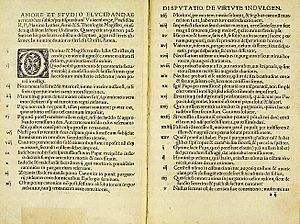 The 95 theses were published in 1516 or 1517. With the theses, he started the Protestant Reformation. Anglican Church: Henry VIII split from the Roman Catholic Church. He wanted to divorce from Catherine of Aragon, but the Pope refused to divorce him. King Henry started the Church of England. It is sometimes seen as being the middle way, between Roman Catholicism and Protestantism, and that is why is often excluded from Protestantism. This is because, in the English Reformation, the English Church kept the early Catholic ministry of bishops, priests, and deacons, as well as most of the doctrine and liturgy. The critical point which led to the Anglican Church was the outright rejection of the Pope, and so of the Roman Catholic Church as an organisation. 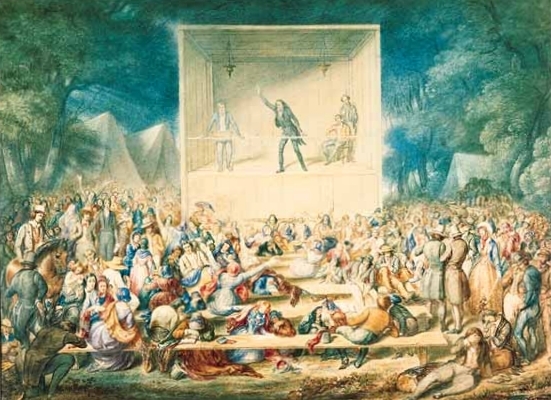 1839 Methodist camp meeting during the Second Great Awakening in the U.S. Dissatisfaction with the outcome of a disputation in 1525 prompted Swiss Brethren to part ways with Huldrych Zwingli. 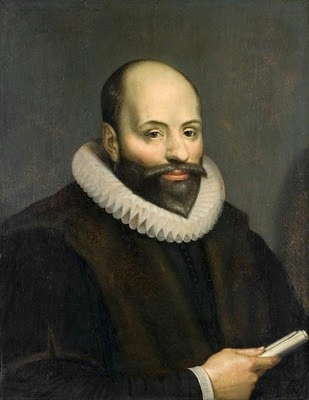 Jacobus Arminius was a Dutch Reformed theologian, whose views influenced parts of Protestantism. A small Remonstrant community remains in the Netherlands. Protestant and Enlightenment philosopher John Locke argued for individual conscience, free from state control. The Edinburgh Missionary Conference is considered the symbolic starting point of the contemporary ecumenical movement. James Springer White and his wife, Ellen G. White founded the Seventh-day Adventist Church. An Adventist pastor baptizes a young man in Mozambique. Loma Linda University Seventh-day Adventist Church in Loma Linda, California, United States. Balthasar Hubmaier, one of the earliest and most prominent Anabaptist theologians. An Amish family in a horse-drawn square buggy. Alexanderwohl Mennonite Church in rural Goessel, Kansas, United States. Thomas Cranmer, one of the most influential figures in shaping Anglican theology and self-identity. The various editions of the Book of Common Prayer contain the words of structured services of worship in the Anglican Church. British coronations are held in Westminster Abbey, a royal peculiar under the direct jurisdiction of the monarch. 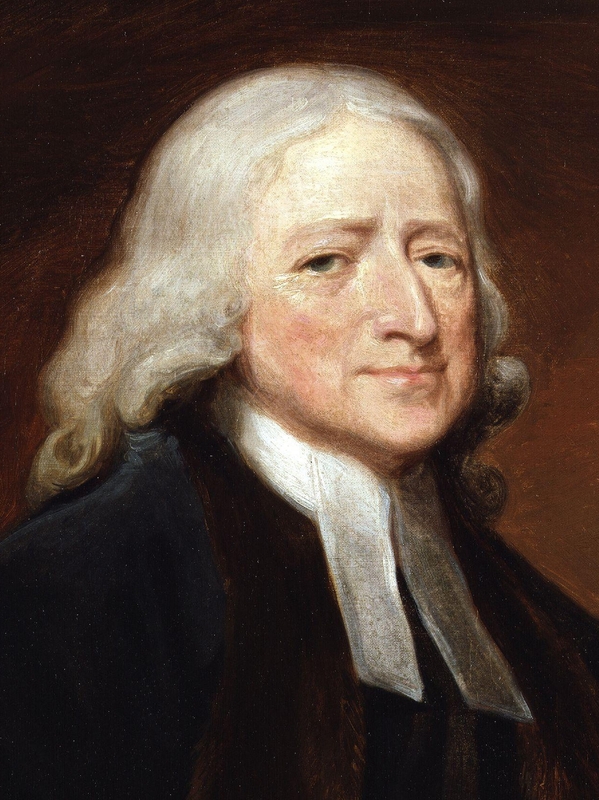 Roger Williams was an early proponent of religious freedom and the separation of church and state. 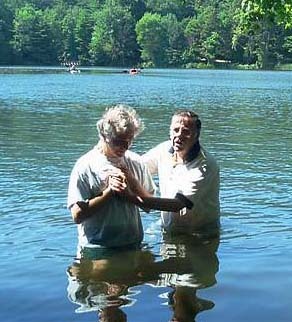 Baptists subscribe to a doctrine that baptism should be performed only for professing believers. The First Baptist Church in America. Baptists are roughly one-third of U.S. Protestants. John Calvin's theological thought influenced a variety of Congregational, Continental Reformed, United, Presbyterian, and other Reformed churches. The Ordination of Elders in a Scottish Kirk, by John Henry Lorimer, 1891. Martin Luther initiated the Protestant Reformation in 1517. Philip Melanchthon, the co-founder of Lutheranism, baptizing an infant. Martin Luther nailed the Ninety-five Theses to the main door of the Schlosskirche. 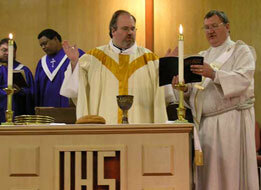 A United Methodist elder celebrating the Eucharist. 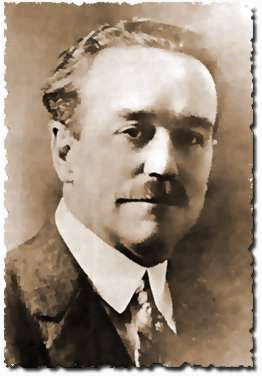 Methodist Central Hall in Westminster, London, U.K.
Charles Fox Parham, who associated glossolalia with the baptism in the Holy Spirit. A modern Protestant worship band leading a contemporary worship session. A Pentecostal church in Ravensburg, Germany. 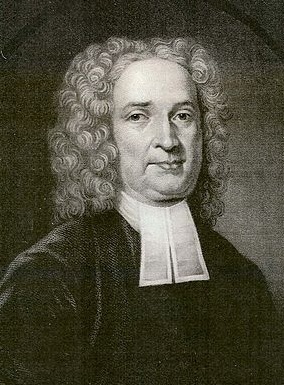 George Fox was an English dissenter and a founder of the Religious Society of Friends, commonly known as the Quakers or Friends. Friedensthal Moravian Church Christiansted, St Croix, USVI founded in 1755. A night shelter of The Salvation Army in Geneva, Switzerland. William Wilberforce, a British evangelical abolitionist. Billy Graham, a prominent evangelical revivalist, preaching in Duisburg, Germany in 1954. Chinese evangelical church in Madrid, Spain. 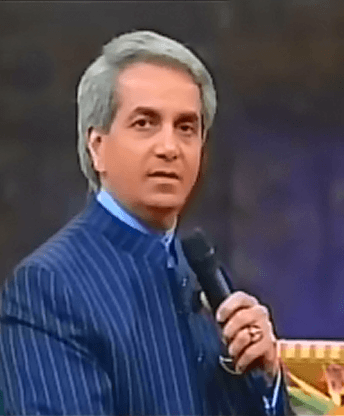 Benny Hinn, one of many American televangelists. NorthRidge megachurch in Plymouth, Michigan. Philipp Jakob Spener, German pioneer and founder of Pietism. Pietism has been a strong cultural influence in Scandinavia. The Broad and the Narrow Way, a popular German Pietist painting, 1866. Pilgrim Fathers landing at Plymouth Rock in 1620. Built in 1681, the Old Ship Church in Hingham, Massachusetts is the oldest church in America in continuous ecclesiastical use. Martin Luther Memorial in Worms, Germany, which features some of the Reformation's crucial figures. 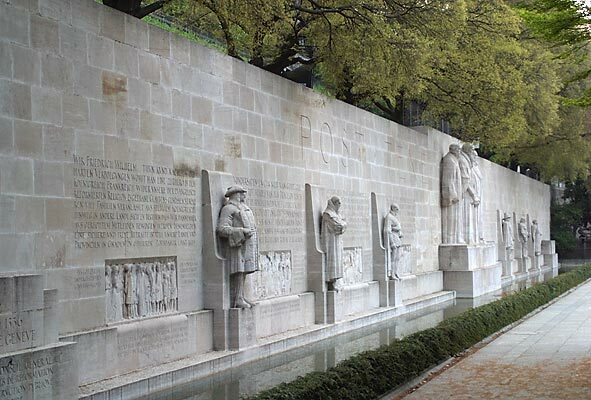 The International Monument to the Reformation in Geneva, Switzerland. The Adoration of the Trinity by Albrecht Dürer. The Crucifixion of Christ by Lucas Cranach the Elder. A Huguenot, on St. Bartholomew's Day, Refusing to Shield Himself from Danger by Wearing the Roman Catholic Badge by John Everett Millais. Protestantism Facts for Kids. Kiddle Encyclopedia. This page was last modified on 15 April 2019, at 11:28.